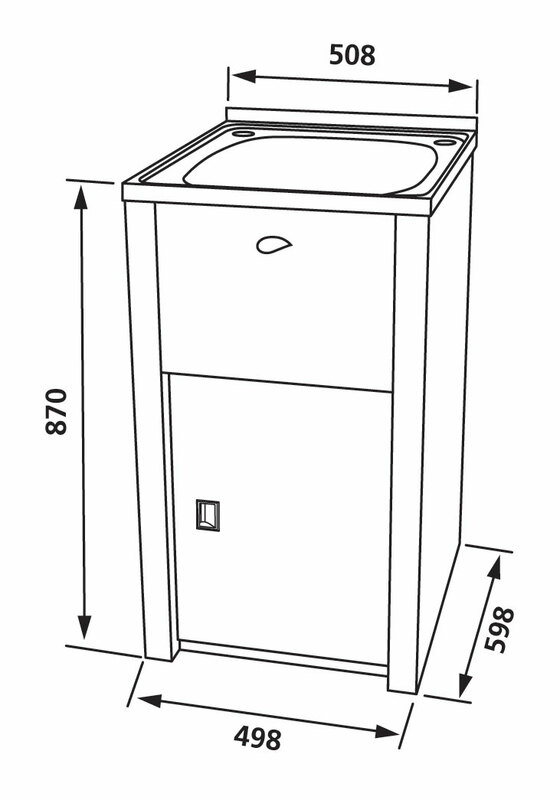 Simplify your laundry chores by adding the NuGleam™ Slim Laundry Cabinet & Sink to your home. 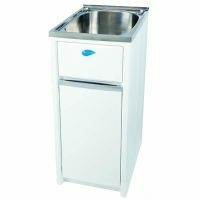 A top quality product offered by Everhard, this laundry cabinet/sink combo offers a no-nonsense approach to laundry cleaning. It is robust, durable and low maintenance. 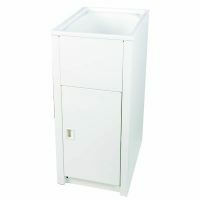 It is available in a gorgeous white finish and is highly attractive to the eye. 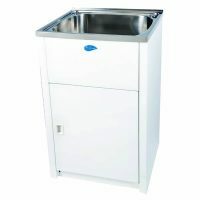 The NuGleam™ Slim Laundry Cabinet & Sink is equipped with a large 45 litre stainless steel sink and is Dupont® Coated, which makes the surface durable and smooth. The NuGleam™ Slim measures 508x598x870mm in dimensions and features a single bypass assembly. This laundry cabinet/sink combo also includes a watermarked basket waste approved by Australian Standards. Everhard manufactures some really fine products and the NuGleam™ Slim is not any different. 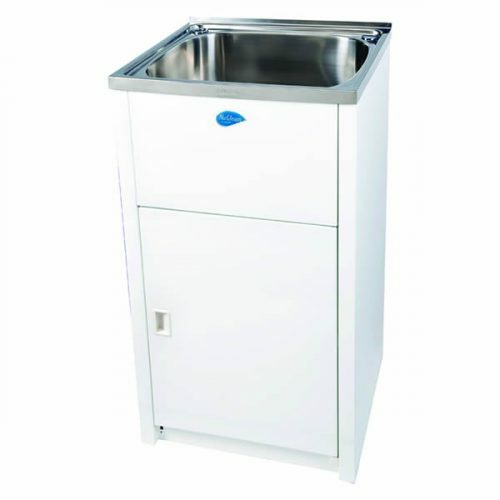 It is backed by manufacturer’s warranty of 25 years on the metal cabinet and stainless steel bowl and a 1-year warranty on hinges, rods, plugs and wastes. This is a superior quality product which will offer you many years of service, even with heavy duty usage. A bestselling item at Ross’s Discount Home Centre, the NuGleam™ Slim Laundry Cabinet & Sink is certainly in high demand. 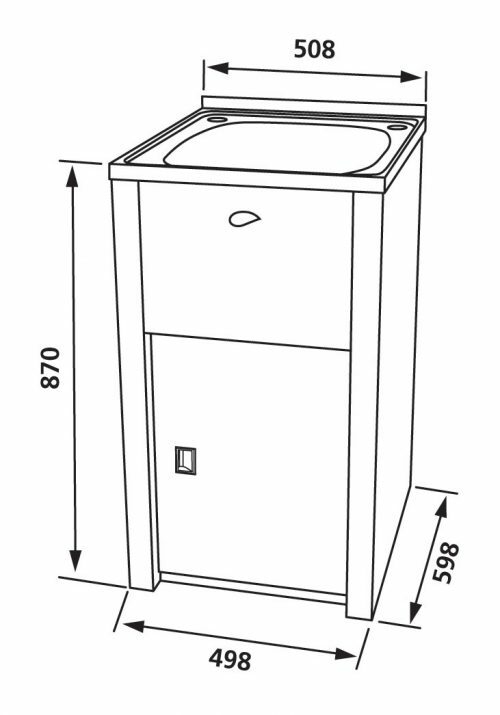 Currently, this laundry cabinet/sink combo is available at an unbelievable bargain on our store, so make your purchase today!